Step 1: Collect the parts that you will need. Step 2: Position the V5 Smart Motor. 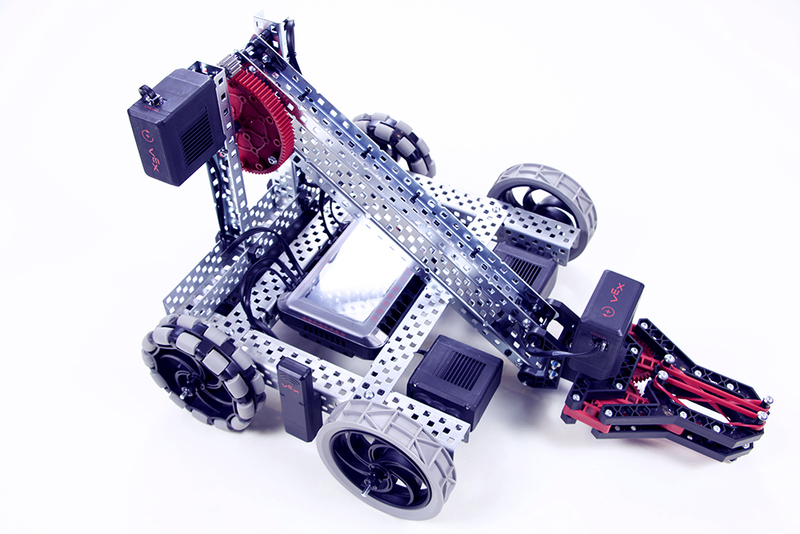 Position the V5 Smart Motor to turn a wheel, the Claw Arm, or the Claw. This example will focus on the V5 Smart Motor powering the movement of the Claw Arm. Step 3: Secure and wire the V5 Smart Motor. 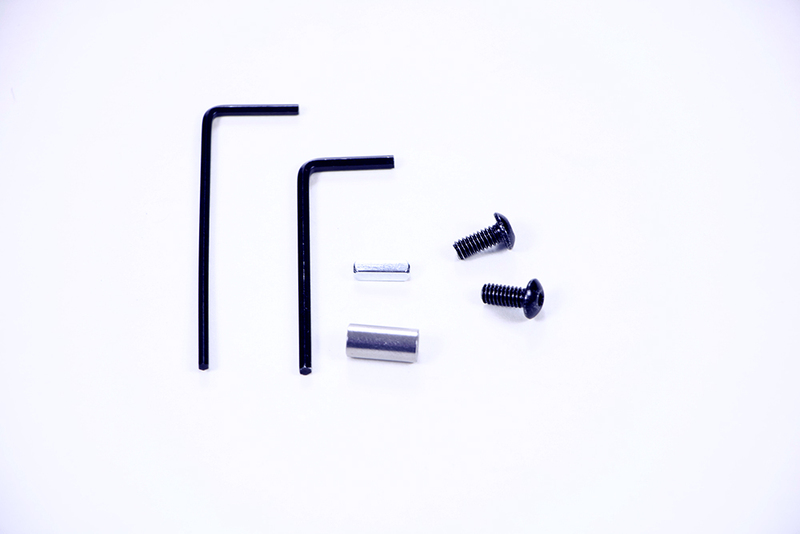 Use the tools that you assembled to securely mount the V5 Smart Motor to the top of the V5 Clawbot's arm support structure. Make sure that the motor is mounted so that it properly aligns and is able to turn the gear. 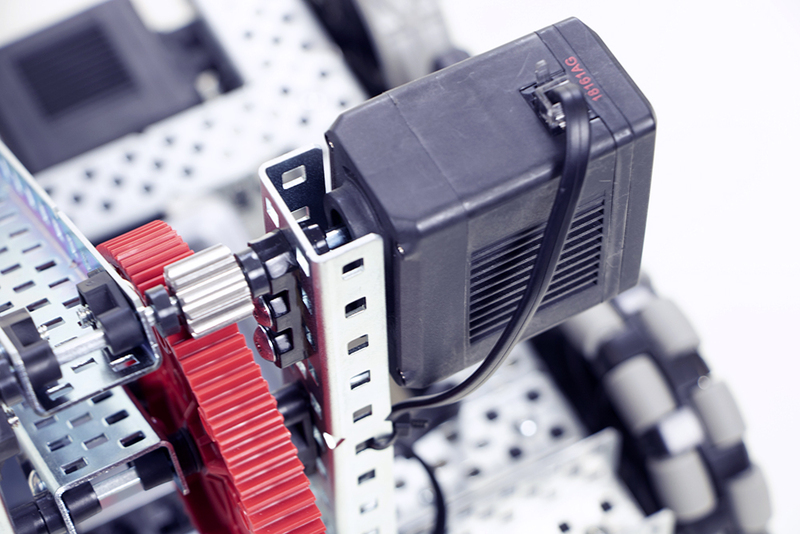 Use a Smart Cable to connect your new V5 Smart Motor to Port 8 on your V5 Robot Brain.